The traditional model of staffing in residential aged care is ‘rotating assignment’ (Farrell et al 2006). 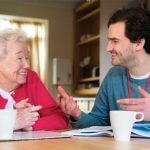 With this approach, personal support staff regularly work with a range of different residents (or clients in a home care context). 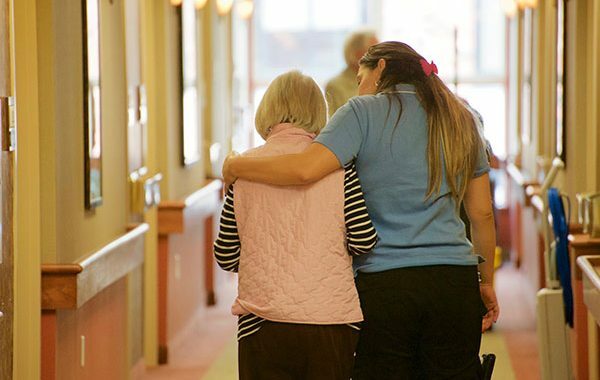 Rotating assignments make it difficult for personal support staff to develop relationships and familiarity with the people they support, so it is not difficult to see why they are a key operational barrier to recognising and honouring the existing and emerging preferences, passions and strengths of people living with dementia. The rotating assignment approach is another way of ensuring that staff do not get ‘too close’ to the residents they support. Research indicates that relationships are the primary source of job satisfaction for staff (Ball et al 2009; Gittell et al 2008), and a key source of satisfaction and wellbeing for residents/clients in a consumer-directed industry (Belardi 2015). Despite this, the deeply embedded concept of ‘professional distance’ has a strong hold in both residential and home care settings. 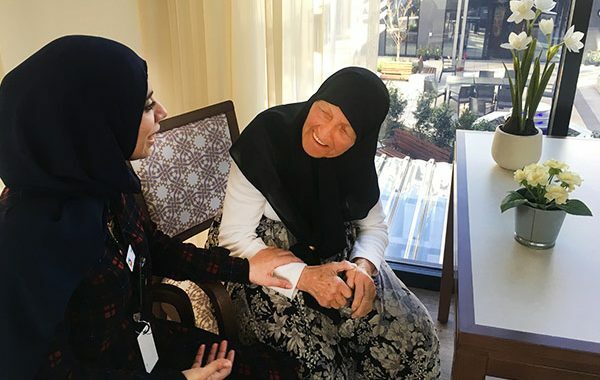 At the same time, personal support staff are trained and instructed to provide ‘person-centred care’, which involves them having a deep understanding of each person that they support. 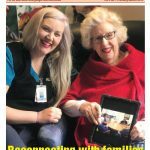 Some residential aged care homes have up to 200 residents – how could it be possible to develop relationships with this many people? The alternate approach is consistent staff assignment (also known as dedicated, primary or permanent staff assignment). With consistent assignment, clinical, cleaning and catering staff work consistently in the same area, and personal support staff support the same small group of people – whether in a residential or home care context. For personal support staff, consistent assignment is specifically designed for moments of intimate personal bodily care. All other duties, interactions and assistance outside of personal bodily care are provided by the consistent team. 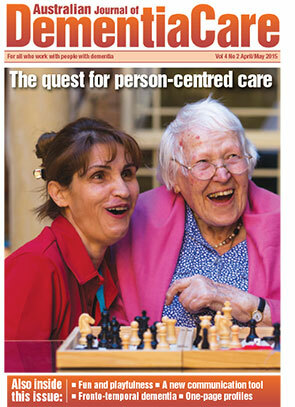 Consistency in the delivery of personal care and support offers many benefits to residents/clients and staff. Castle (2011) investigated care outcomes for 3939 long-term care homes in the US and found that care outcomes were significantly improved in homes using consistent staff assignment (p< .01). In a later study, Castle (2013) found that consistent assignment led to reduced staff turnover and unplanned leave. 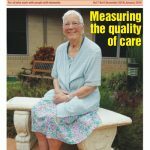 Australia’s new Aged Care Quality Standards call upon providers to uphold the right of residents/clients to be self-determining. This includes ensuring that systems and processes are put in place that are specifically aimed at maximising the ability of residents/clients to make decisions about their own lives and about the way that care and support are provided. 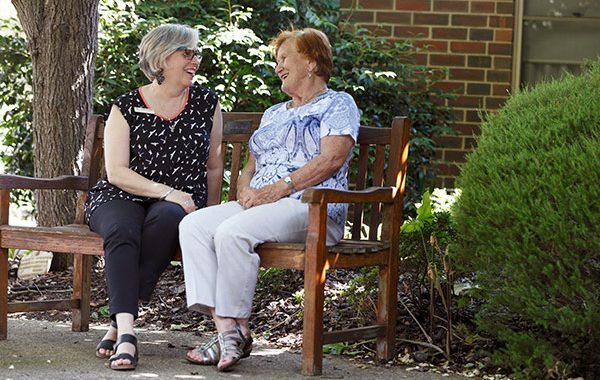 The key to recognising and supporting the choices of people living with dementia – particularly those who no longer use words to communicate their preferences – is to surround them with people who know them well. People living with dementia rely on the empathetic attunement of consistent personal support staff in order to have their emerging and embodied preferences and strengths recognised and honoured. This is vital if we are committed to protecting their ongoing rights to self-determination and participation as the level of dependency on others increases. Consistent assignment represents an important operational enabler in supporting the rights of people living with dementia. The development of familiarity and trust between a professional support worker and the person receiving assistance is also the key to maintaining dignity throughout personal bodily care routines. 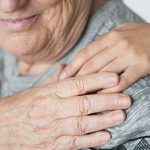 Receiving assistance with personal bodily care remains an excruciatingly vulnerable process for the person being assisted, and it can lead to feelings of loss, shame, sorrow, fear and helplessness. Even when people are no longer mobile, or use words to communicate, they tend to do their best to move their bodies and limbs to cover private areas that are exposed. Personal bodily care is where the rubber meets the road in terms of supporting dignity. How many different people would you want having access to your naked body? Personal support staff are able to get to know and support what is unique about, and uniquely important to, the people they support. Personal support staff can get to know the little things about a person, the things that matter, and also be more aware of subtle changes in mood and health. 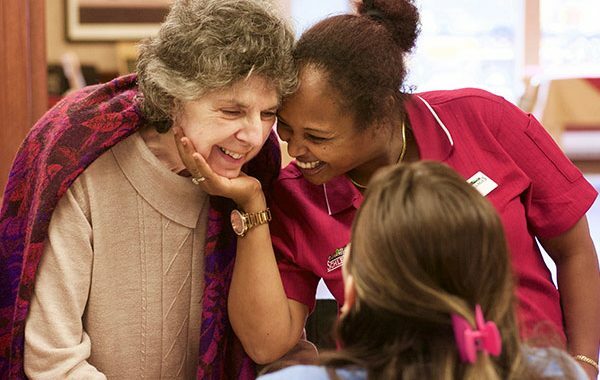 People living with dementia see familiar faces and feel the familiar touch of their bodies. People living with dementia are able to experience a sense of purpose in the reciprocal nature of the developing relationship. Personal support staff can bring their humanness, tacit knowing, intuitions, strengths, and life skills to their relationships at work. Personal support staff are offered the opportunity to connect deeply and truly get something back from their relationships with the people they support. Families are able to develop close and trusting relationships with consistent staff members. Families no longer experience the exhaustion of dealing with lots of different strangers. It is worth their while now to share more, connect more deeply, and have deeper levels of trust in the organisation and in the personal support staff directly providing the day-to-day support. The circle of close and consistent relationships in the lives of people living with dementia is extended beyond family care partners. This provides another layer of protection, accountability and advocacy in terms of ensuring that the rights of the person are being upheld. Why is rotating staff assignment still so common in both residential and home care services? Having worked internationally with a range of service providers – for-profit, not-for-profit, church and government owned, including six years implementing consistent assignment with organisations and individuals – I have heard common themes and ‘reasons’ to explain why consistent assignment is not adopted. Below, I outline and briefly address some of the most common barriers cited by staff and service providers. It is vital to engage with all stakeholders when embarking on any change or improvement initiative. This means that engaging residents, clients, staff at all levels, volunteers and family needs to be the first step. Finding out what matters most to residents/clients, family and staff is the key – this is the step that organisations most often skip. Key learning #1: top-down solutions and ideas do not work – no matter how good they are. Everyone needs to be involved in finding the answers, and everyone is called upon to contribute. Moving to consistent assignment takes time, resources and organisation-wide commitment. In my experience, a good implementation plan would allow three months from the initial engagement of multiple stakeholders to day one of the new roster and allocations. The move to consistent assignment needs to be part of a larger shift from a medicalised and institutionalised culture to a more relational one. Engage all stakeholders in the process, including presenting the beneficial outcomes and links to deeper values, meanings and callings. Outline what consistent assignment is, and what it is not (see earlier section ‘What is consistent assignment’). Choose one area or service in which to carry out a trial to fine-tune the model and processes. Determine the preferences of residents/clients in terms of existing relationships, language and gender (eg, some may only feel comfortable being supported by a female or male). Determine the preferences of personal support staff in terms of existing relationships, preferred days, shifts and work areas. Gather information around indicators such as job satisfaction; sick leave; turnover; complaints; clinical indicators; and extensive feedback from residents/clients and family. This will help build a case for organisation-wide implementation. Hold interactive workshops with all staff. Implement a three- to six-month trial and gather regular feedback from all stakeholders; continue to adjust the model as required. Evaluate the trial using the indicators mentioned above to obtain the ‘before’ and ‘after’ outcomes. Personal stories and feedback are a vital component of the evaluation. Publish outcomes internally. Introduce all departments within the organisation to the initiative and processes developed during the trial. Ask each to consider how it might contribute to and support the implementation and maintenance of consistent assignment. Develop a working or advisory group to oversee the ongoing implementation and maintenance of consistent assignment. The next steps are focused on maximising the benefits of consistency. With the accountability that consistency provides comes the ability to increase flexibility to further support the day-to-day choices of residents/clients. Key learning #2: there are key steps and minimal operating expectations for consistent assignment, but unique processes and systems will need to be developed by all stakeholders in each organisation. It is vital that all departments contribute. Moving beyond the idea that personal support staff need to keep their professional distance is a keystone in successfully implementing consistent assignment. 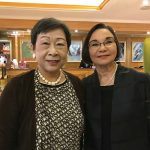 Empowering, two-way relationships between people living with dementia and personal support staff are characterised by mutuality, solidarity, commitment, love and empathy. This is the antithesis of a relationship characterised by ‘professional distance’, where employees are cut off from their own humanness, including their invaluable intuitions, passions and tacit knowing. Personal support staff are also sisters, brothers, mothers, lovers, neighbours and best friends to others; others who think that they are amazing. The key focus for service providers and management needs to be on encouraging personal support staff to bring their ‘amazingness’ to work with them, not to leave it at the front door and replace it with professional distance. 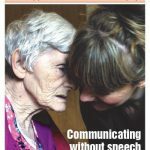 We need to let go of the idea of professional distance because it remains a powerful barrier to upholding the rights of people living with dementia to communicate their choices; to understand, and to be understood. Key learning #3: in addressing and alleviating organisational or individual concerns around professional distance it is vital to hear the voices of everyone. Gather staff together to unpack why this might be a problem. What are their fears? What are the supposed worst-case scenarios? What might be the benefits of closer relationships? Personal support staff are not robots; they get sick, take leave, move to a new house, get promoted and take up new employment opportunities. Systems need to be in place to ensure that every effort is made to fill leave shifts with consistent staff members. Expectations need to be managed in terms of everyone understanding how this will be handled. The personal support staff filling shifts during leave need to be introduced to the people they will be supporting. Key learning #4: systems and processes need to be in place to address leave management, with a priority on consistency and transparency when replacing shifts. Concerns that staff might leave the service, or be promoted, largely centre on protecting residents or clients from the pain of losing an important relationship. This is no different from any one of us insisting that we will never again have a relationship in our lives for fear of being hurt. In attempts to protect a person, to sanitise life, the right to experience close relationships and the benefits of consistency are denied altogether. This represents its own kind of paternalism. Staffing changes can be handled sensitively, with rituals developed around saying goodbye and beginning new relationships. Key learning #5: potential pain and loss are not good enough reasons to deny access to close relationships and consistent support. In many cases I have found that issues around ‘workload’ fairness equate to a misunderstanding of what consistent assignment is, and what it isn’t. The issue primarily arises because one small group of people that a personal support worker consistently supports may constitute a heavier workload than another support worker’s group. The workload in different sections changes frequently because of changing resident needs. Much effort can be made to ensure that each section is initially balanced in terms of workload, but the balance soon changes, and allocations will need to be adapted again and again. The answer lies in looking at the other duties that do not involve intimate personal care. There are many non-personal care duties, such as making beds, serving tea and coffee, emptying linen skips etc. These are the areas that need to be reallocated to better balance the changing workloads. Some resist consistent assignment because it is thought that personal support staff need ‘variety’ to avoid ‘burnout’. 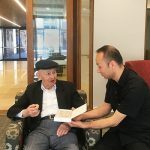 This approach may be beneficial in a factory, or even in sales or hospitality; but it does not accurately reflect the real-world experiences of personal support staff – and the non-financial benefits they get from this work; what it means to them personally. However, there are situations and people that present an ongoing challenge to personal support workers. Consistent assignment shines a light on these individual issues and calls for them to be addressed in a positive way, rather than to ‘rotate’ personal support staff to avoid having to deal with them effectively. For example, it is common for well-meaning families to present an ongoing challenge to staff by overriding the day-to-day choices of residents/clients. I have often heard from staff that they wake up residents when they are happily asleep or take them to activities that they do not enjoy because they are genuinely afraid that the family will confront them. Another example is when a resident or client is experiencing distress, often during personal care routines. When consistency is in place, personal support workers are more committed to finding out how best to approach and support the person, rather than to pathologise the ‘behaviour’ as merely a ‘symptom’ of dementia. These challenges are common and can go unaddressed in a rotating assignment model. In a consistent assignment model however, these conflicts stand out and need to be addressed immediately. Key learning #6: workloads can continually be adjusted through rotating duties that do not involve acts of intimate personal bodily care. Individual challenges and issues need to be dealt with effectively as they emerge. Understanding what brings meaning to the work and lives of personal support staff is important. When looking at the day-to-day duties of personal support staff, a relatively small proportion of their time is spent assisting with personal bodily care. As stated earlier, consistent assignment is specifically for the intimate acts of personal care and support. Outside of that, everyone is called upon to support all residents. Key learning #7: training is the key to ensure that everyone works together as a team outside of the personal bodily care provided. A major barrier to implementing a strictly consistent assignment model is the belief that it is already in place. Having a ‘consistent team’, or ‘consistent team leaders’, or only keeping allocations consistent for set lengths of time does not represent a true consistent assignment approach. Key learning #8: staff need to be consistently assigned across all roles and all shifts – permanently. “The dedicated staff over the last few weeks with mum and me made all the difference. It was a real close community, it felt like something of days of old, where you would have community and family and people around you who really cared for me, the son, but also for mum. It made the whole passing experience so special, and such an achievement for mum…it was a blessing to be a part of” (Neal Bethune, son of Dulcie Bethune). His mother’s funeral was held at the residential home so that the consistent staff could all be involved. 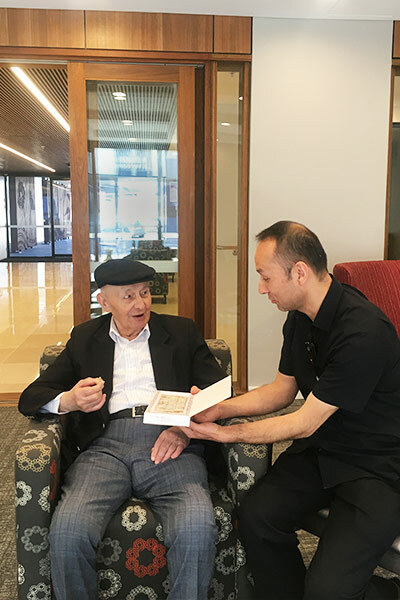 Personal support staff have shared with me their stories about the benefits they have experienced in terms of gaining a deeper understanding of humanness and finitude. They take great pride in being with the person and their family, and then lovingly preparing and presenting the body of the person they have worked with. In doing so, they have unwittingly created their own meaningful rituals for the occasion. In a society that tends to hide and sanitise death and dying this is a precious gift for staff. Key learning #9: the death of a resident or client can be a gift for professionals providing care and support. 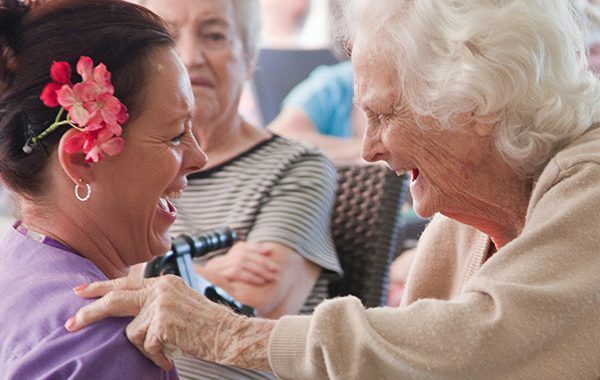 With a newly focused lens on rights, self-determination, customer/consumer choice and workforce strategy it is clear that changes to aged and dementia care in Australia are rapidly accelerating. In the real world of day-to-day service delivery, a commitment to consistent staff assignment draws on the strengths of what is currently working well, and on what is most important to key stakeholders. Consistency is a powerful operational approach to promote staff retention and to support the rights of our most vulnerable citizens to be included and to be self-determining. Ball M (2009) “They are the reason I come to work”: the meaning of resident-staff relationships in assisted living. Journal of Aging Studies 23(1) 37-47. 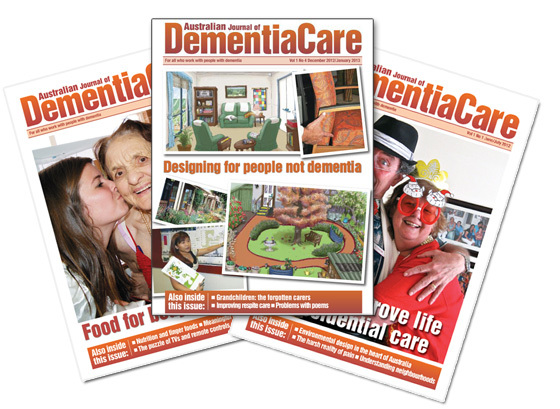 Castle N (2011) Consistent staff assignment in Alzheimer’s special care units. Alzheimer’s & Dementia 7(4) S292. Castle NG (2013) Consistent assignment of nurse aides: association with turnover and absenteeism. Journal of Aging & Social Policy 25(1) 48-64. Gittell J (2008) Relationships and resilience: care provider responses to pressures from managed care. Journal of Applied Behavioral Science 44(1) 25-47. Want to read the other articles in this issue? SUBSCRIBE TODAY for as little as $99 to improve your practice and stay up to date on the latest in dementia research and training. 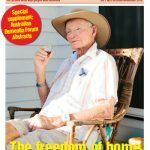 Each month, we publish one full article from the new issue of the Australian Journal of Dementia Care. If you would like to subscribe to the AJDC, click here. Do you have a project or survey to report, or a change in practice organisation or structure which has worked well (or not), and would like to share this experience with others? To submit an article to the AJDC, contact the editor at: kerry@australianjdc.com.